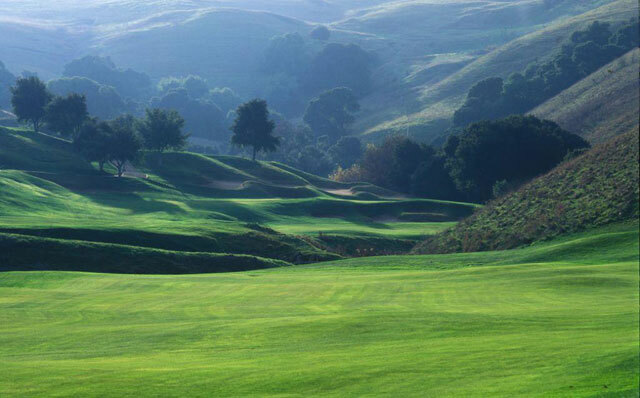 This Arnold Palmer designed course is hailed as the “premier golf course north of the Golden Gate Bridge”. The home of the LPGA’s Samsung World Championships, on the border of the Napa Valley, Hiddenbrooke is in all respects – majestic. Enjoy breathtaking panoramic views amidst the splendor that is America’s world-renowned wine country. 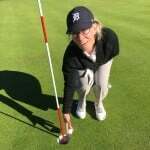 Golf Digest awarded Hiddenbrooke its prestigious 4-star rating, and affords Bird Golf School students the perfect venue for their Napa golf schools. 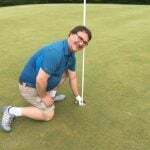 Read what Bird Golf students have to say about their experiences here! 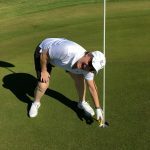 Our golf packages come with private exclusion with your PGA and LPGA professional, as well as a wide range of amenities. Visit our rates page for complete information! 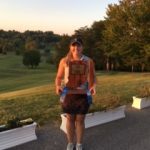 Hiddenbrooke G.C. features some dramatic elevation changes and stunning scenery. The course has five sets of tee boxes on every hole, making it a test for very skilled players, in addition to being very playable for beginners. Hiddenbrooke was again honored by Golf Digest in their 2008/2009 “Best Places To Play” list, by being awarded 4 1/2 out of 5 stars. To put that rating into perspective, the only California courses that were awarded 5 stars were the storied, Pebble Beach Golf Links and Spyglass Hill G.C., thereby putting Hiddenbrooke in some very grand company. After their golf school instruction, Bird Golf students then enjoy the beautifully appointed, guest rooms at Napa’s newest luxury resort, the Meritage Resort and Spa. 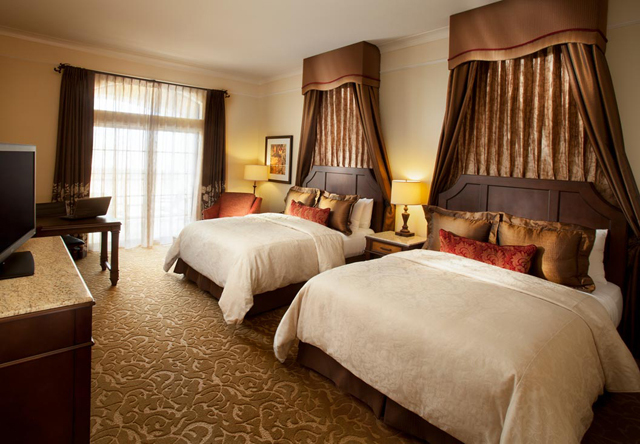 With Tuscan-inspired architecture and décor, the rooms are appointed with rich woods, hand-painted details, wicker alfresco furnishings and premium bedding. For your California golf schools, the rooms also have 32 inch plasma TV’s, mini refrigerator and high-speed internet. Our California golf school students rave about the magnificent 20,000 square foot Estate Cave. 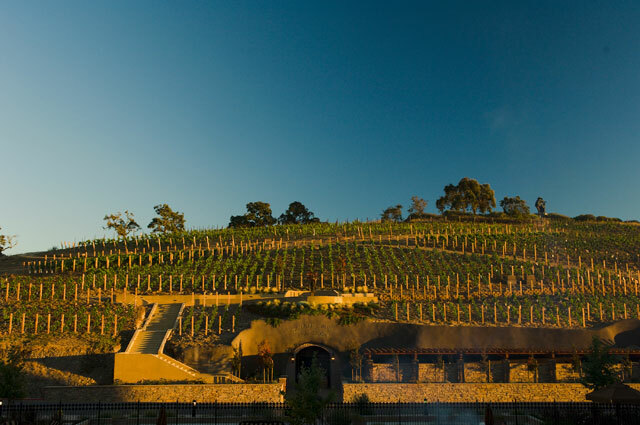 The Estate Cave is a blend in itself, using nature and technology to host a spectacular underground spa, and wine tasting bar pouring some of California’s most coveted wines. 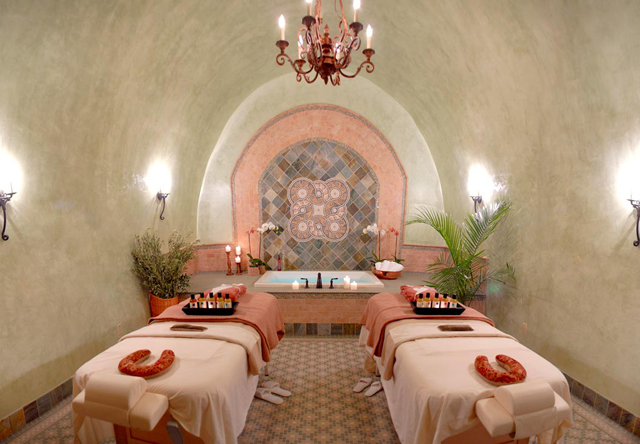 The Meritage Resort & Spa also features the highly acclaimed Spa Terra which is a must for the spa lover. Set in the magnificent cave, with its natural stone and copper water features combined with Old World Florentine architecture and furnishings, is truly an experience, like no other. Spa Terra offers a vast array of treatments and has a wonderful selection of packages that are unique to the Meritage. Our golf school students have especially enjoyed their signature treatment, Solo Vino, which is a combined wine tasting and therapy experience. The resort’s signature restaurant, Siena, is another superb feature at The Meritage. Siena presents a menu gathered from California’s finest ingredients inspired by the Tuscany region of Italy. Every delicious plate at Siena is prepared fresh from local organic farms with farm-raised beef, artisan cheeses, and more. Napa’s climate and weather mirror those of Tuscany-abundantly rich earth and a similar climate which allow them to produce such mouth-watering creations. Our Napa golf school students have often remarked that it was just like being in Italy! In addition to the Wine Cave and gourmet restaurant, the luxury resort has a fitness center, sun drenched swimming pool, bocce ball court, fire pit, and a vineyard with walking trails. The Meritage Resort has all the ingredients for a perfect Wine Country visit, and is the perfect place to unwind after your golf school day. And of course, you are in Napa; America’s wine country. Hopefully your schedule allows you to stay an extra day or two and tour the famous wineries in the area but there are also a host of other great activities to enjoy. See the magnificent Napa Valley by air-private helicopter tours and balloon rides are available, and the area has wonderful hiking and biking trails. For a trip back in time, take a ride on the famous, Napa Valley Wine Train, whose railway cars are restored to their original splendor with polished mahogany, brass and etched glass. A champagne brunch, gourmet lunch or full-course dinners are offered. All of Bird Golf’s students agree, that Napa is the ideal venue for their golf school vacation. It will be memorable. 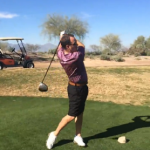 See all the reasons why Bird Golf Academy is the World’s Top Golf School.